Evey since I saw Star Wars as a child I’ve liked stories involving a mentor and a student. I guess that is why decided to read this book. Until I wrote this blog post, I had no idea they had made a movie about the book. Could have saved a few hours. 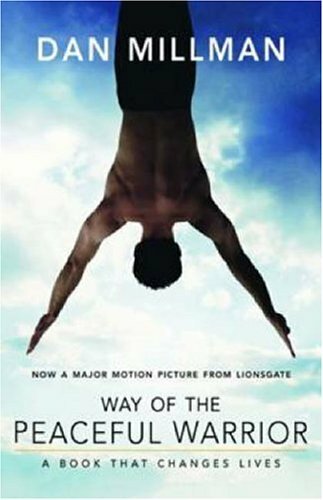 Way of the Peaceful Warrior: A Book That Changes Lives by Dan Millman starts off promising but then gets more and more confusing. The story takes place in Berkeley in the late 1960s and reeks of Baby Boomer hippie nonsense. Buried inside the book are some gems of valuable wisdom. The key word is buried. I think the author has some valuable insight and I’m interested in reading one of his more recent books. Less hippie, more Yoda. A better mentor-student book is The Monk Who Sold His Ferrari. UPDATE (6/12/08): I just saw the Peaceful Warrior movie. The setting was modern times and not the hippie days of late 1960s Berkley. It was more concise and dropped that rambling non-ending the book had. As a movie it was OK. As a follow-up to the book it was very well done and highlighted some of the stronger points in the book.